Does the Tummy Tuck Belt really work? The most common aesthetic problem that a number of people are facing these days is the accumulation of small stubborn fat deposits on localized areas of the body. This affects your whole body contour even if you are not fat or obese and the most common area that gets affected is tummy. Having fat on the tummy area is a common problem of pregnant women also. These days tummy tuck belt is quite commonly used to eradicate belly fat and slim down the tummy. It is advertised as the miracle slimming system that works without requiring diet and exercise. Know does this really work and if it does then how much you can benefit from it. How tummy tuck belt is used? You need to wear tummy tuck belt on your tummy. It comes with a thermal accelerator cream; you are required to apply this cream on your belly and area at the sides – flanks. After this, put on the tummy tuck belt and do standing abdominal tummy tighteners for two minutes. Take your belt off after 8 minutes and you are done. It works by burning the fat and the thermal accelerator that is applied on the skin before wearing belt ignites the burning process. It ignites the fat burning chain reaction by raising the temperature. There are three ways of using tummy tuck belt that are given below. You can use tummy tuck belt without adding diet or exercise. What you need to do is just applying the belt on your tummy for 10 minutes daily. This way, your tummy will lose fat slowly and gradually. You can use tummy tuck belt along with exercise and diet, this will make its results two times more effective. You should wear the belt in the morning for ten minutes and then you can exercise at any time during the day without wearing the belt. 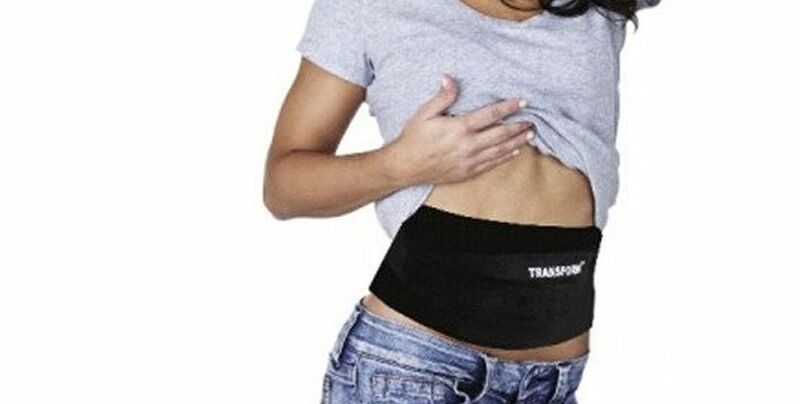 For instant results, you can use tummy tuck belt with soft, flexible space age material. It provides comfortable compression. You can wear it under your clothes all day long that is quite comfortable and you can get instant slimming look. It is important to mention here that tummy tuck belt can be an effective method for removal of excess fat on tummy area but before using it, you must consult a plastic surgeon for his recommendations. Above given are the claims of tummy tuck belt and it works too but to some extent only. If you want to get most effective results or if you also want to remove excess sagging skin on your tummy or tighten abdominal muscles besides losing fat then you should go for tummy tuck surgery. It is no doubt an invasive procedure but it gives more effective results if compared with tummy tuck belt. Liposuction is also an effective procedure for removal of fat on abdomen and flanks that involves small incisions compared to tummy tuck surgery.